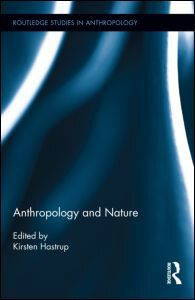 Book edited by Kirsten Hastrup, Waterworlds, Department of Anthropology. Routledge. 2013. Other contributors are Anna Tsing, Sarah Whatmore, Andre Gingrich, Steve Rayner and Clare Heyward, Signe Howell, Gísli Pálsson, and Tim Ingold. On the basis of empirical studies, this book explores nature as an integral part of the social worlds conventionally studied by anthropologists. The book may be read as a form of scholarly "edgework”, resisting institutional divisions and conceptual routines in the interest of exploring new modalities of anthropological knowledge making. The present interest in the natural world is partly a response to large-scale natural disasters and global climate change, and to a keen sense that nature matters to society at many levels, ranging from the microbiological and genetic framing of reproduction, over co-species development, to macro-ecological changes of weather and climate. Given that the human footprint is now conspicuous across the entire globe, in the oceans as well as in the atmosphere, it is difficult to claim that nature is what is given and permanent, while people and societies are ephemeral and simply derivative features. This implies that society matters to nature, and some natural scientists look towards the social sciences for an understanding of how people think and how societies work. The book thus opens up a space for new forms of reflection on how natures and societies are mutually generated. Go to the website of the publisher to purchase the book.